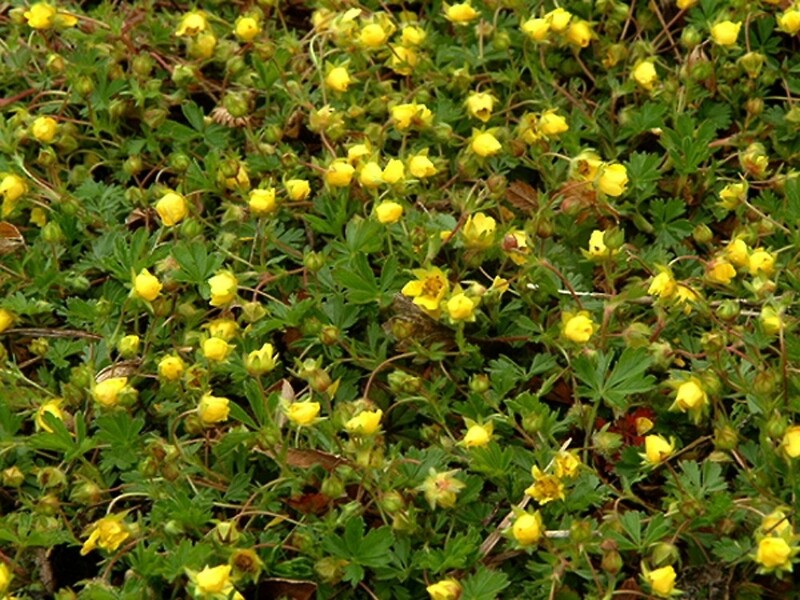 Spring cinquefoil is an introduced in North America. Within New England, it has been collected only in Connecticut. 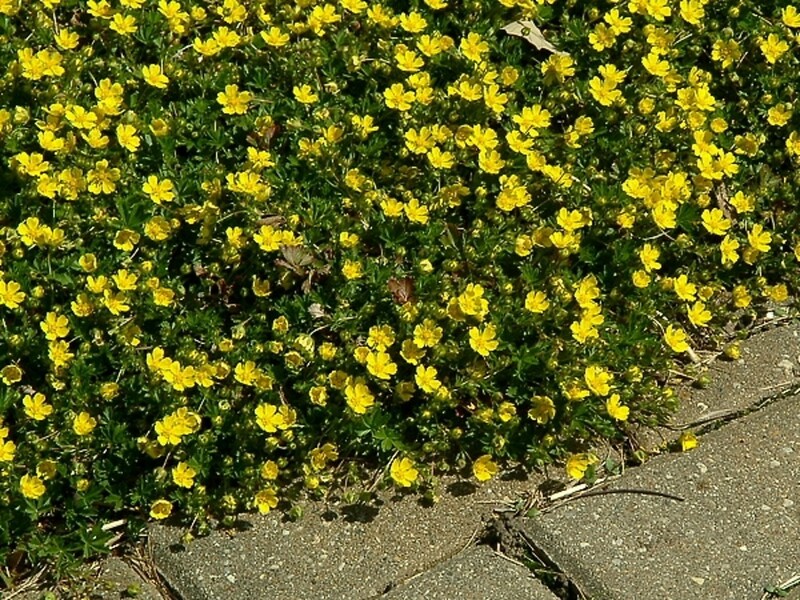 Typical of many alpine plants, this species grows low to the ground on a mound of small foliage -- a growth form that helps preserve water and warmth in open, cold, dry conditions. 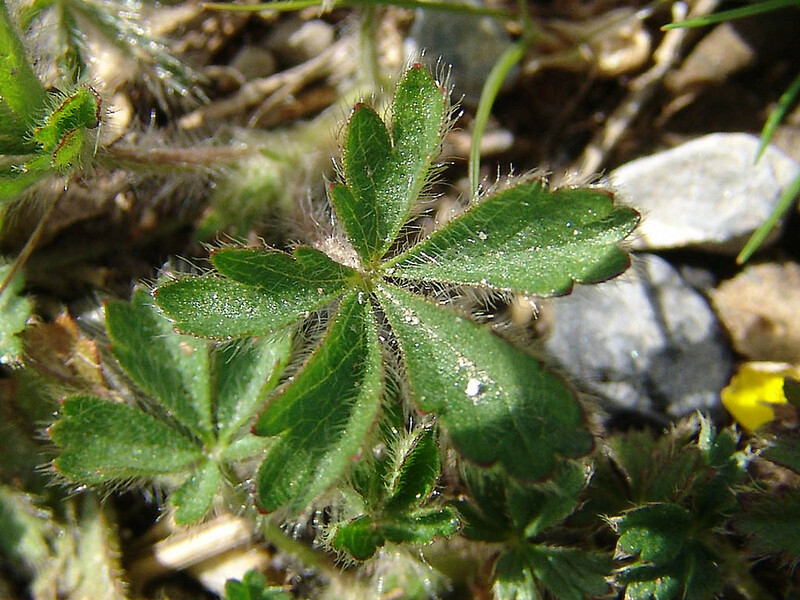 Rooting at the nodes, the prostrate stems can form mats -- a feature that distinguishes this species from another very rare, native alpine cinquefoil in New England, Potentilla robbinsiana. 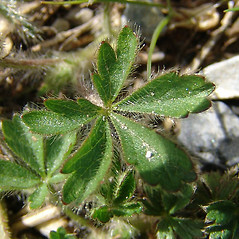 flowering stems, 1–4 cm tall, stipules ovate, blunt to abruptly pointed at the apex, and leaflets 5–13 mm long (vs. P. verna, with flowering stems up to 10 cm tall, stipules linear to narrow-lanceolate, sharply pointed at the apex, and leaflets mostly 8–35 mm long). 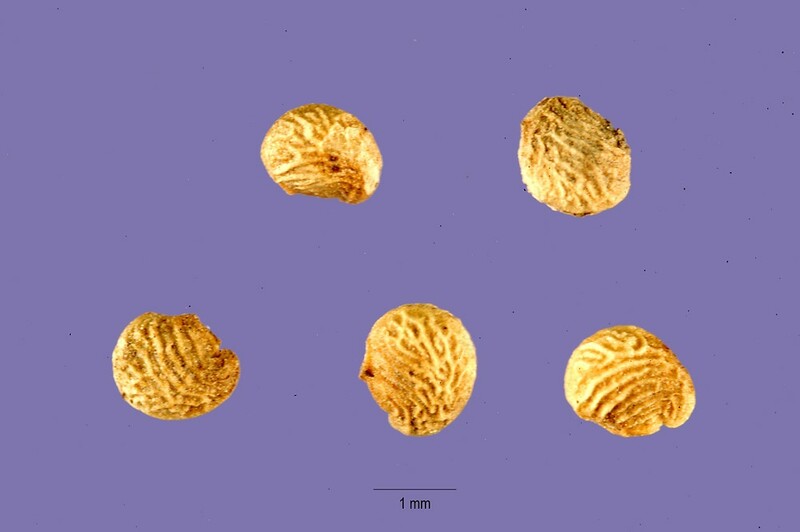 Potentilla neumanniana, auct. non Reichenb. 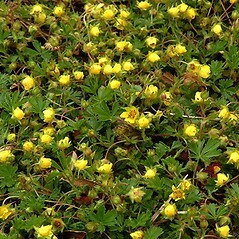 spring cinquefoil. 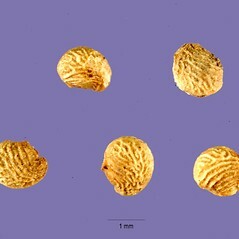 Potentilla neumanniana, auct. non Reichenb. ; P. tabernaemontani Aschers. 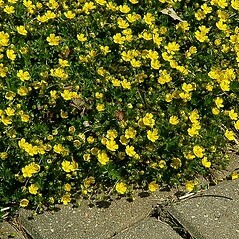 • CT. Roadsides, lawns. Report of this species in MA by Kartesz (1999) was based on comments in Seymour (1982) and was unverified (i.e., specimens are unknown).